Prior to joining the Simon School in 1997, Shaffer taught in the economics departments at Indiana University (Bloomington, Ind.) and the University of Michigan (Ann Arbor, Mich.). He has held an appointment at Princeton University’s Woodrow Wilson School, and he has been a visiting scholar in the marketing department at Northwestern University’s Kellogg School of Management. In addition to his teaching and research duties at the Simon School, Shaffer has an appointment in the School of Management at the University of East Anglia (Norwich, UK). He is also the founder of the Center for Pricing. Professor Shaffer teaches the course on pricing policies to full-time and part-time MBA students. He has been named to the Teaching Honor Roll numerous times and was awarded the Superior Teaching Award from the MBA classes of 2001 and 2004. Shaffer’s research employs game theoretic models to examine pricing-related issues in IO and antitrust economics. His specialty is in the area of vertical restraints, including exclusive dealing, bundling, slotting allowances, market-sharebased contracts and resale price maintenance. He has received research grants from the US National Science Foundation, the Social Science Research Council (USA) and the Social Research Council (UK). 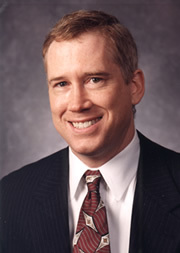 Shaffer’s work has appeared in the American Economic Review; Economic Journal; the RAND Journal of Economics; Journal of Economics and Management Strategy; Journal of Law and Economics; Journal of Law, Economics and Organization; Journal of Industrial Economics; International Journal of Industrial Organization; Marketing Science; and Management Science. He received Emerald Management Review’s Citation of Excellence Award as the author of one of the top 50 management articles of 2002. Shaffer is a co-editor of the Journal of Economics and Management Strategy and an associate editor of the Journal of Economics and Business. He has served as a visiting scholar in the two U.S. government antitrust agencies: the Antitrust Division of the US Department of Justice and the Bureau of Economics at the U.S. Federal Trade Commission. Shaffer participated in the writing of the 2001 Federal Trade Commission’s report on slotting allowances (payments for retail shelf space), and he has twice given invited testimonyon their competitive effects, serving on a threemember panel investigating this practice at the Hearings on Global and Innovation Based Competition (1995) and again at the Federal Trade Commission’s sponsored workshop on slotting allowances (2000). Private Contracting with Externalities: Divide and Conquer? forthcoming in Rand Journal of Economics. American Economic Journal: Microeconomics, 8: 174-194, November 2016.
forthcoming in International Journal of Industrial Organization. Quantitative Marketing and Economics (lead article), 10: 393-417, December 2012.